Disable access to all areas. Venue rooms with capacities ranging from small meeting /therapy room for up to 8, larger halls and room ranging from 20 – 120. 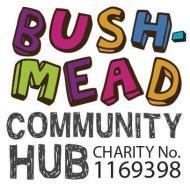 A range of community interest groups and exercise classes more information available at http://bushmeadhub.co.uk/whats-on. The Hub is available for hire throughout the week, weekends and school holidays.